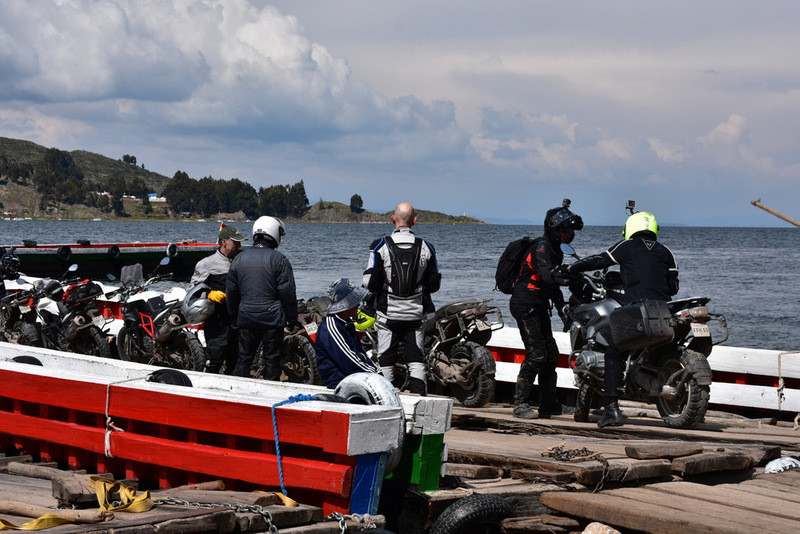 In the course of our Machu Picchu and Uyuni Salt Flats Motorbike Tour, we explore the banks and waters of Lake Titicaca, the highest navigable fresh water lake in the world and a point of reference for the trade of the Andean populations of Peru and Bolivia. 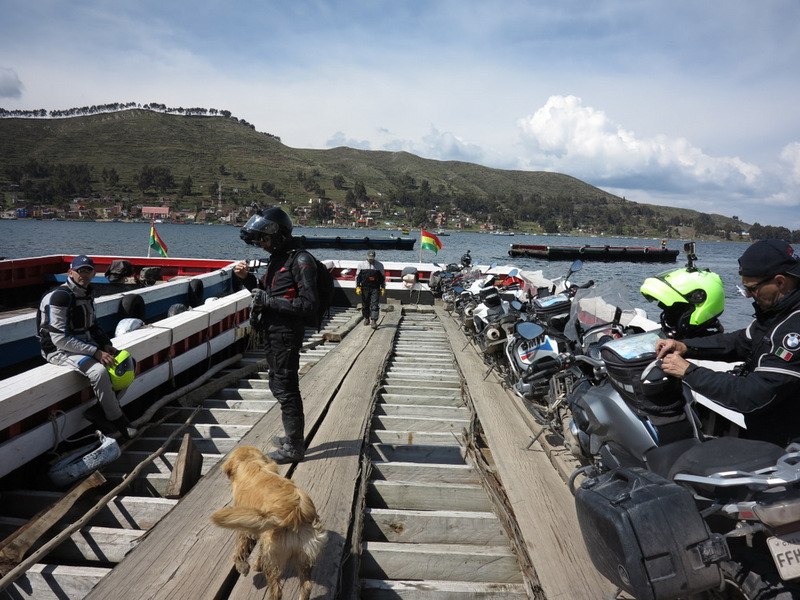 But what does it feel like to cross one of the most famous lakes in the world by motorbike on a wooden raft? 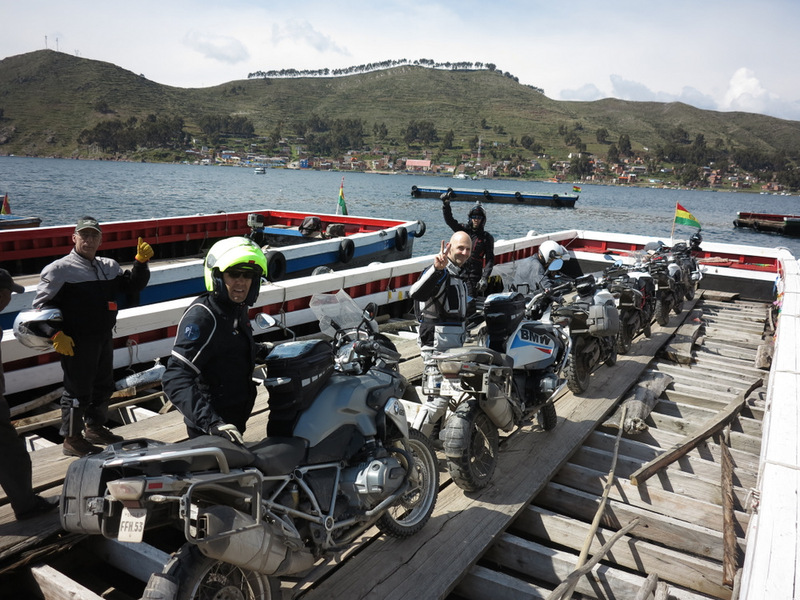 We shall ride on the motorbikes along the road that leads us to the shores of the lake and admire the vastness, splendour and beauty of the landscape. 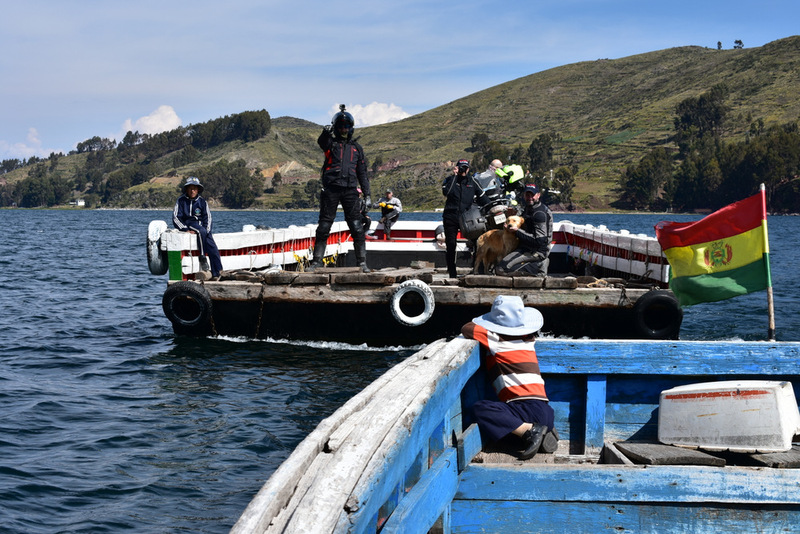 We shall pass the night on the bank of Lake Titicaca, in one of the best hotels of the city of Puno, facing directly onto the water. 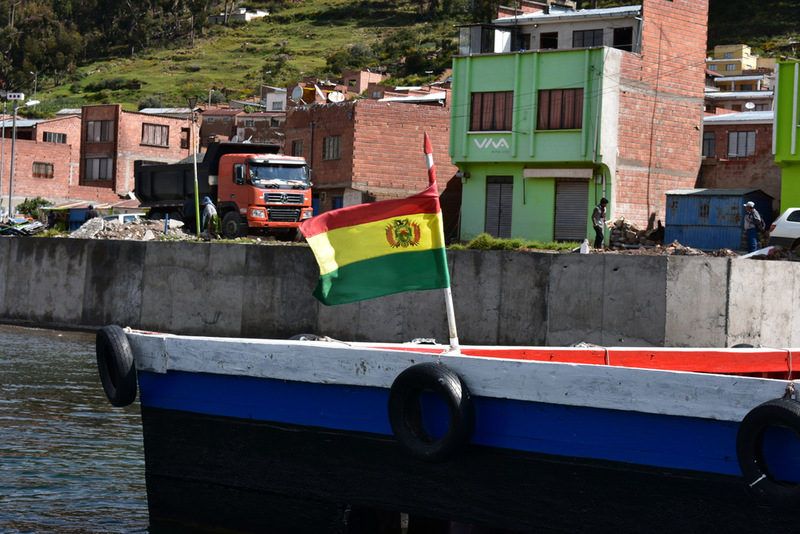 On the following day we cross the border and pass into Bolivia, crossing the lake itself: a fascinating and unforgettable experience, both for the landscape and for the particular mode of transport by which it is done. 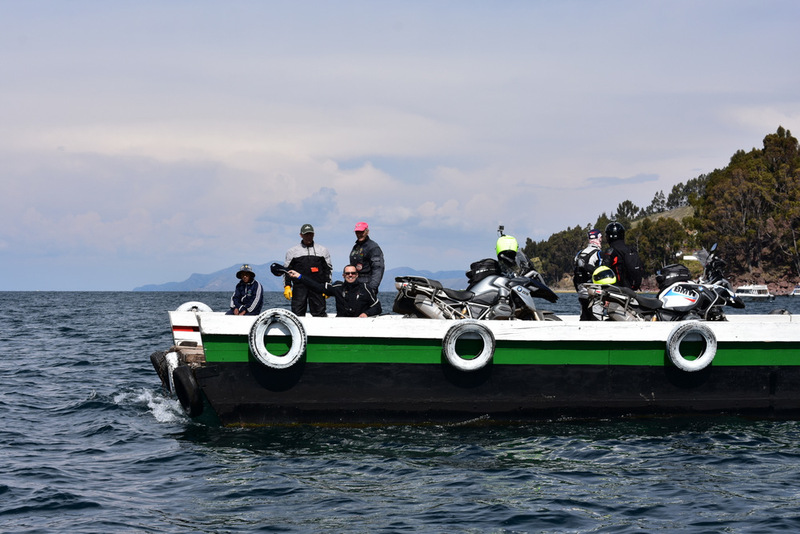 The crossing of Lake Titiaca that we are able to offer our clients is truly a unique and extraordinary experience, which allows them to navigate its waters by motorbike. 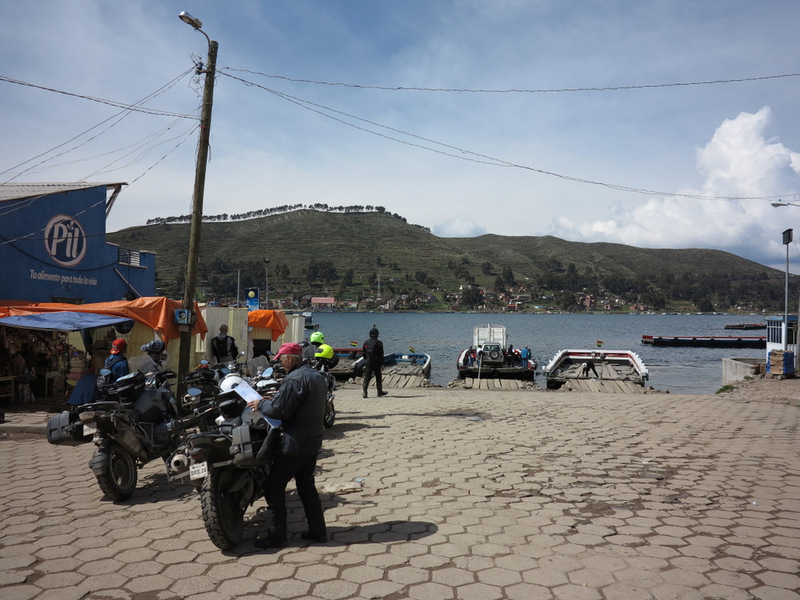 After having ridden along an exceptional series of fast unpaved roads that stretch along the coast of the lake, and after having completed the customs formalities to cross the frontier between Peru and Bolivia, we find ourselves exactly at Lake Titicaca’s embarkation point. 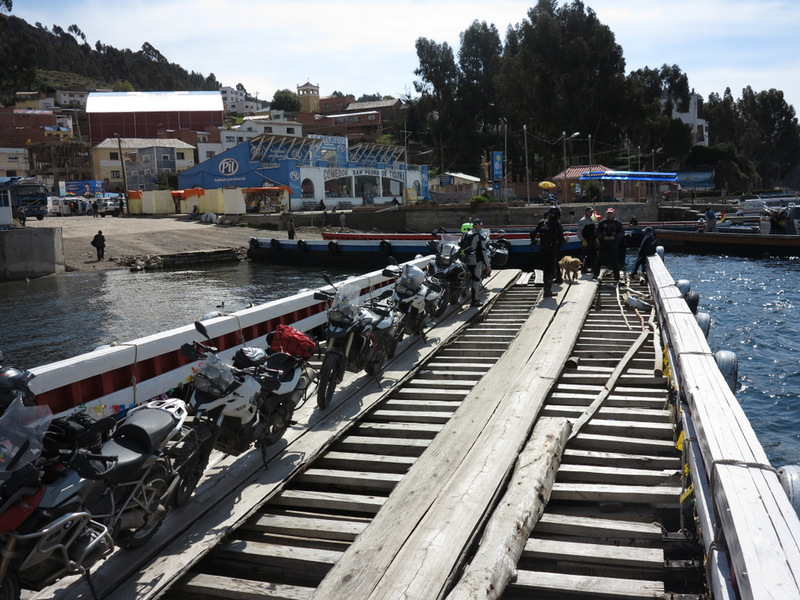 From this point, we are able to cross to the other shore, with our motorbikes and support vehicle aboard a wooden raft, handled by a local operator, who carries us across the waters of the lake to the opposite bank, where we shall continue our journey directly towards La Paz. 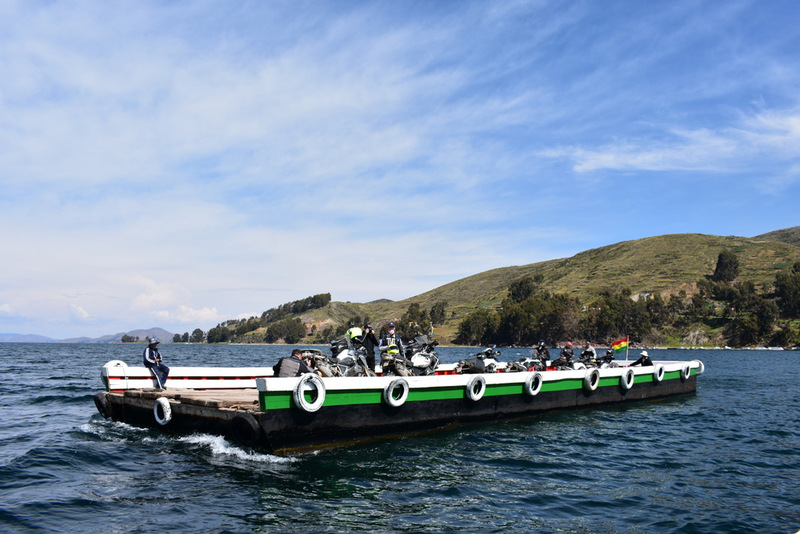 To be able to cross this lake, unique in the world, on a wooden raft, transported by the waves and among extremely colourful and brilliant surroundings, with the curiosity of the children and adults attracted by our motorbikes, is an engrossing and fascinating way to live close to the life-style of the plateau, and enter personally into Bolivian life and culture. 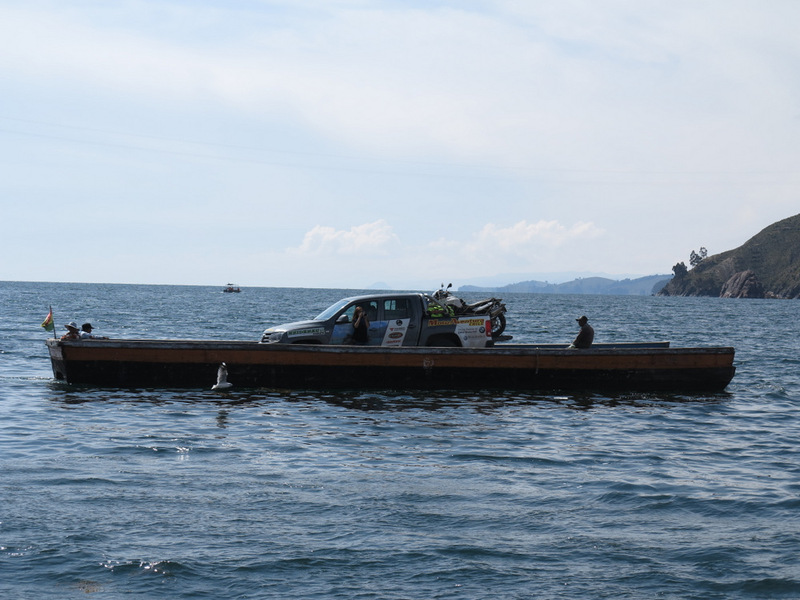 The crossing of the lake is quite short, only requiring about ten minutes, the raft travels slowly, and the whole area is inhabited, frequented by transporters and travellers and provided with pedlars and little shops. 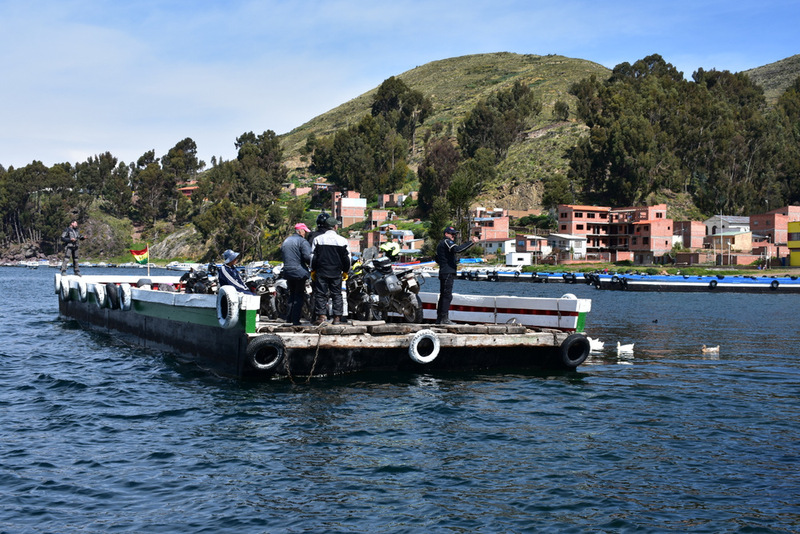 To be able to offer our clients such an intense experience is a great joy and satisfaction for us: to be able to contemplate this magnificent lake from a completely unusual viewpoint, directly from its waters, seated on one’s own motorbike. 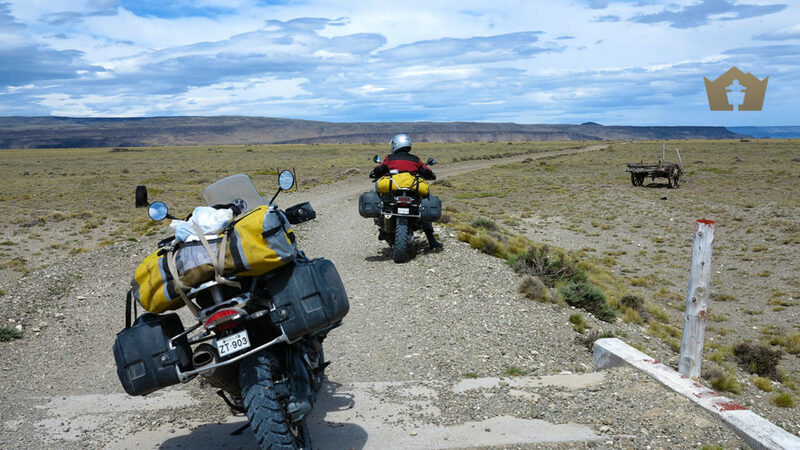 Machu Picchu & Uyuni Salt Flats on a Motorbike! 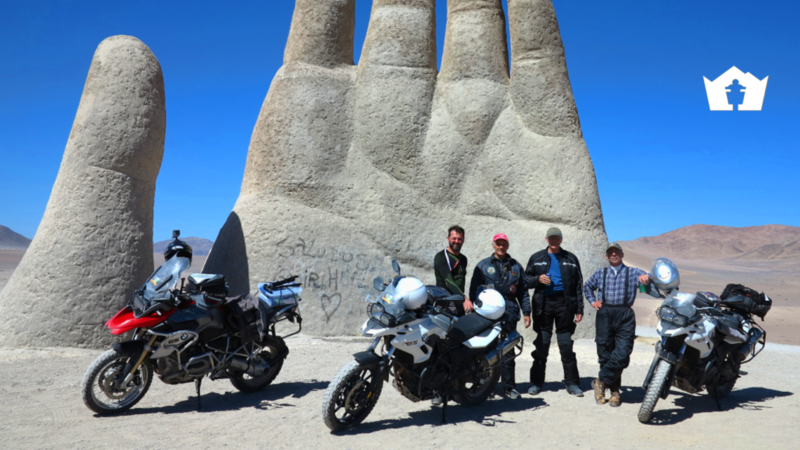 We run the Machu Picchu & Uyuni Salt Flats Tours from April to Octuber and Easter, organising guided groups or providing rental motorbikes for riders interested in solo experiences. 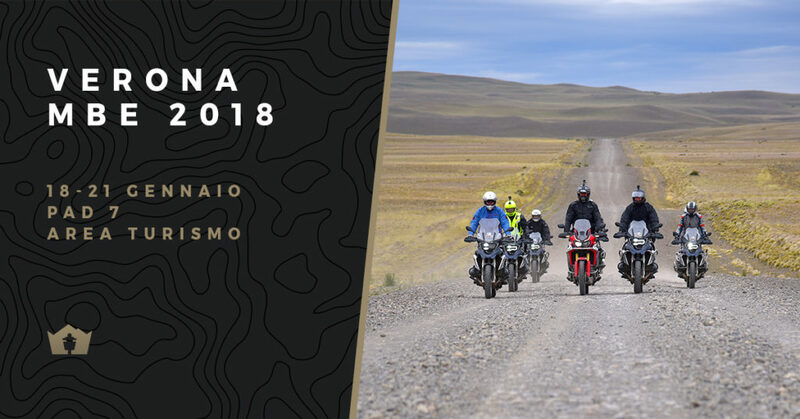 We can also offer Self Guided Tours, where, other than the bike renting service, we also book all the hotels and choose the most scenic spots on the itinerary. 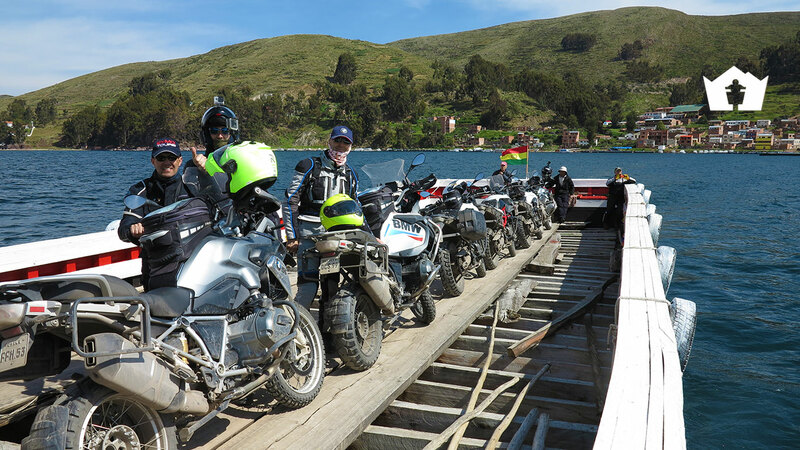 Ylenia is Chilean and traveled by motorcycle all over Northern Chile, Perù, Bolivia, Italy, Austria, Germany, Iceland and can definitely help groups of riders chose the best Tour among what Ride True ADV has available. She is also in charge of implementing new marketing strategies and developing new trusted partnerships with our Rentals Companies around the globe. Ride True ADV awaits for you at Motor Bike Expo in Verona from 18 to 21 January! 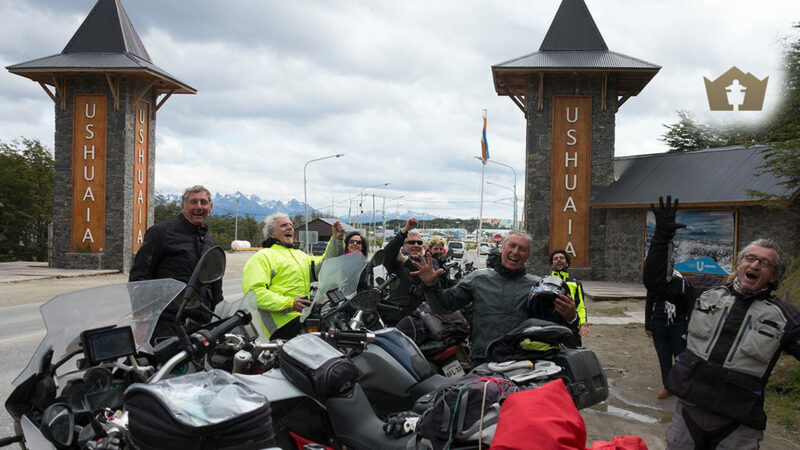 Ushuaia by motorbike: why is “Fin del Mundo” such a must-go destination?